Compare the Australian Cattle Dog to the Dingo. Use the tool below to compare temperament, size, personality, maintenance requirements, and everything else between Australian Cattle Dogs and Dingos. 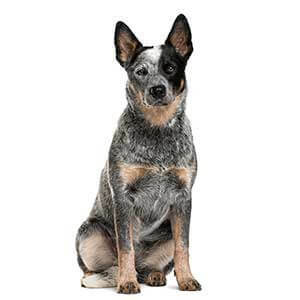 Owner Experience - Neither the Dingo or the Australian Cattle Dog are ideal for new owners, but the Australian Cattle Dog is strongly discouraged for new or inexperienced owners. Children - The Australian Cattle Dog is okay with children, but the Dingo does not do well with children. Grooming - Both breeds have low maintenance coats, but the Australian Cattle Dog is easier to groom. Barking - The Australian Cattle Dog has an average tendency to bark. 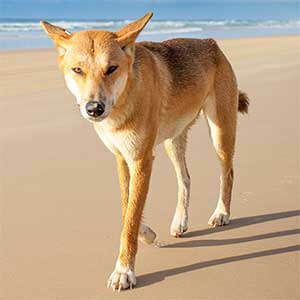 The Dingo will bark less frequently than most dogs. Lifespan 12-14 yrs. 14-16 yrs. Height 17-20 in. 20-24 in.